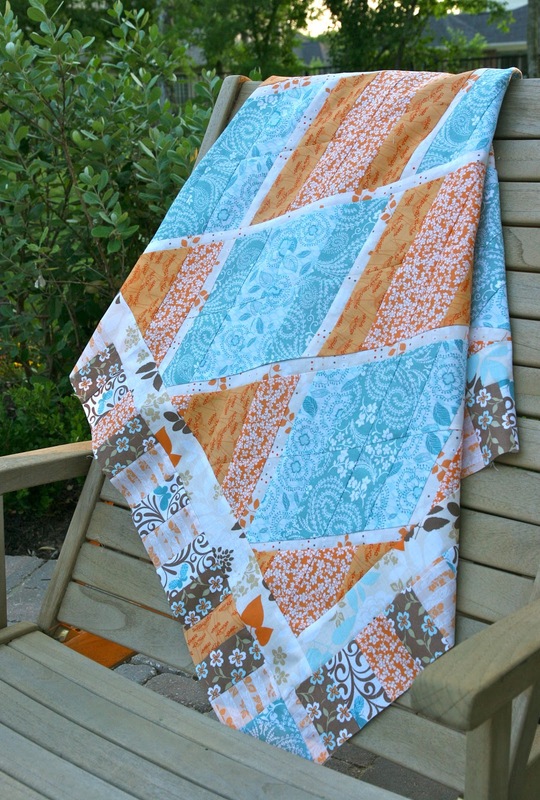 It just might be possible to do a quilt on the boys' sewing machine. Yesterday, I wasn't so sure. Since yesterday afternoon, night, and a bit this morning....I was actually able to piece this quilt top. I won't lie. It wasn't easy. The reason for the length of time it took was because my seam ripper was working at top speed. I used two jelly rolls from Fabric Palette that I bought on sale at my local Jo-Anns. The strip books I bought a few months back seem to need closer to 30-40 strips for a completed quilt. My goal is to get this finished for the Bloggers' Quilt Festival this week. I have never really felt like I have anything to offer since it has been quite a while since I have finished a quilt for myself. Now to do a border, backing, and binding on the boys' machine. I sure hope my walking foot works on it! It is beautiful! I love the colors!